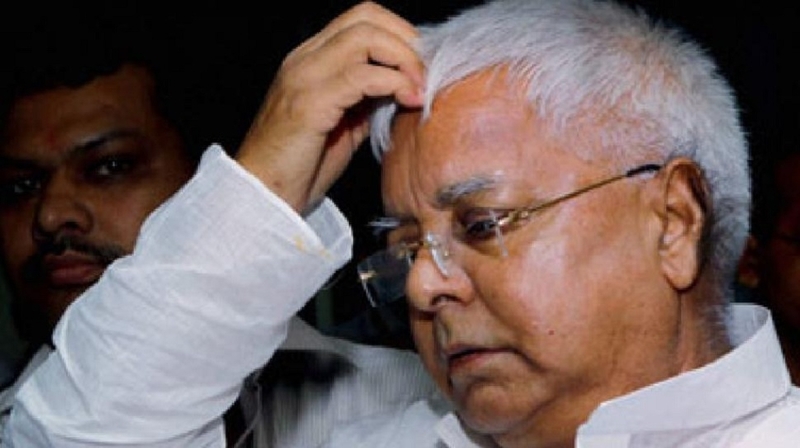 CENTRAL Bureau of Investigation (CBI) on Tuesday vehemently opposed in the Supreme Court the bail plea of RJD supremo Lalu Prasad Yadav in the fodder scam cases saying that the ailing leader suddenly claimed to be “fully fit” to undertake political activities in the upcoming Lok Sabha polls. Yadav, who has been in hospital instead of jail for last over eight months, has sought bail on medical grounds and for leading his party simultaneously, CBI said while arguing that granting of bail to him would set “very wrong precedent” in cases involving “serious corruption in high offices”. Accusing Yadav of undertaking political activities from a hospital in Ranchi, the probe agency said: “Simultaneous raising of pleas for bail on medical grounds and bail to guide the party and to carry out all essential responsibilities as a party President in ensuing Lok Sabha election are mutually contradictory and manifests that in the garb of bail on medical ground the petitioner in essence wants to pursue his political activities which is impermissible in law.” The bail plea of Yadav would come up for hearing on Wednesday before a bench headed by Chief Justice Ranjan Gogoi.“It is, in the most humble and respectful submission of the investigating agency, a case where grant of bail would set a very wrong precedent in cases involving corruption in high offices,” CBI said. “It is respectfully submitted that if these considerations are permitted to be raised by the convicted accused, even a businessman who is found guilty of corruption can seek bail on the ground that he wants to do his business in spite of gravity of the offence and the period for which he is convicted,” it said. The agency, in its response filed to Yadav’s bail plea, referred to the high-profile political leaders who have visited him in the hospital in last few months including Ahmed Patel, D Raja, Derek O’ Brien, Sharad Yadav and Hemant Soren. “During the jail period also the petitioner is regularly conducting his political activities. The said fact is reflected from the visitors’ register which the investigating agency namely CBI obtained,” it said.